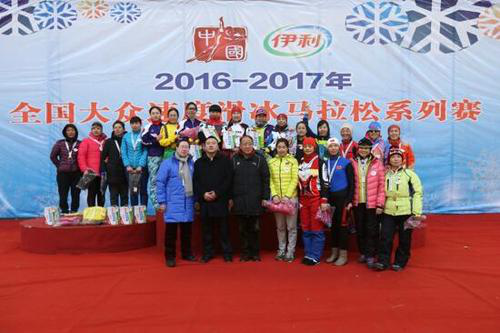 The Qiqihar stop of the 2017 National Speed Skating Race, which is part of a series of activities designed to encourage mass participation in ice and snow sports, concluded on March 4. 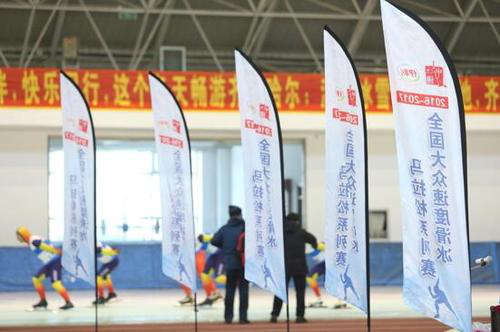 Sponsored by the General Administration of Sports of China and the Chinese Skating Association, the event attracted over 300 players from 19 regions across China, including from Heilongjiang province, Inner Mongolia autonomous region, Beijing municipality and Hebei province. Tan Hujun, a 52-year-old speed skating enthusiast, won the first prize in the male 5-kilometer speed skating race. The event is in line with China’s initiative to promote ice and snow activities to the public, and encourage mass enthusiasm for keeping fit. 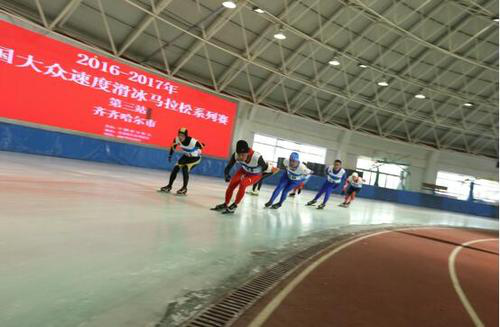 It is not only cities in northern China that are developing winter sports projects, but also some southern China cities, according to Meng Meng, an international speed skating judge at the event. Inner Mongolia Yili Industrial Group Co Ltd, a Chinese dairy giant headquartered in Hohhot, Inner Mongolia autonomous region, sponsored the speed skating events. Wang Baoquan, vice-chairman of the firm, promised further support for the development of China’s ice and snow sports in the future.